A great running shoe will be comfortable and support the foot in all the right (and necessary!) places. 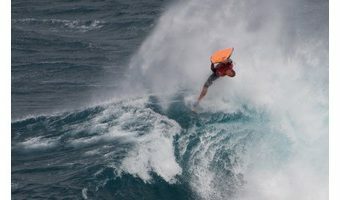 It should make your feet feel light and it should be flexible enough to move with your bending feet as you are running. A running shoe should also be at least a tiny bit stylish too, because why not? Sounds interesting? Well, we’ve made a list of best running shoes for women with features and pictures and all you need to know so you’ll only have to scroll and take your pick! Here, I’ve chosen five of the best running shoes for women to highlight and compare them according to some basic, necessary criteria. The Champion Gusto is our pick for top running shoes for beginner runners. It’s low cost and simplistic in design, so it’s versatile enough to wear for runs of various lengths. It will also carry you on throughout the day. There are many color variants available, they’re lightweight and include a foam insole, so they’re comfortable for most neutral runners. The Nike Free 5.0s are a standby for regular runners since they’re versatile enough for everyday wear and yet sturdy enough for training and road running. They feature a textured mesh inner sleeve, so they fit comfortably and snugly like a sock. The upper fabric and laces are designed to reduce pressure on the foot, and they’re supportive enough to be comfortable while also encouraging natural motion. We recommend some trail running socks too, you might find them helpful! 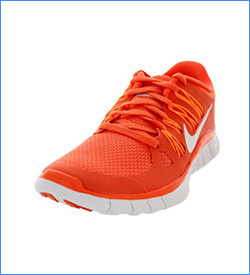 This updated version of the Nike Free running shoe is made with improved flexibility and breathability. 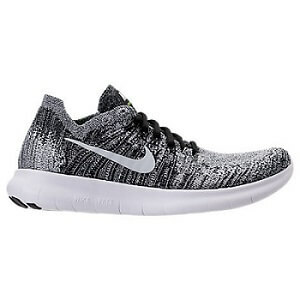 The Flyknit technology is both wearable, stylish, and comfortable. It fits more like a sock and feels like barefoot running. This shoe also includes a phyllite mid-sole for cushioning. 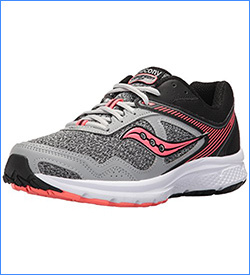 Saucony’s Cohesion 10 is a versatile running shoe that’s suitable for pretty much any sport. For those with neutral feet and average arches, who don’t need specialized support, this is an ideal and cost-effective shoe. It’s well-cushioned and comfortable. The Guide 9 by Saucony come in many different colors and are designed for road running, with a light amount of stability. They include a mesh upper for ventilation and breathability, and an EVA midsole for support and comfort. 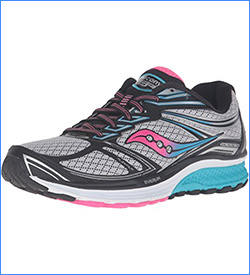 Saucony’s “Everun” cushioning technology provides plenty of cushioning and durability. These shoes are ideal for those who over-pronate to some degree. 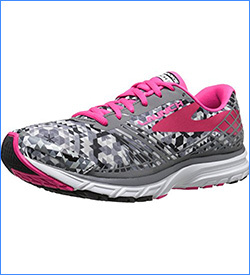 These Launch 3 shoes by Brooks include a removable foam insole that allows you to feel light on your feet. They’re made for neutral runners and are designed for maximum flexibility, responsiveness, and durability. 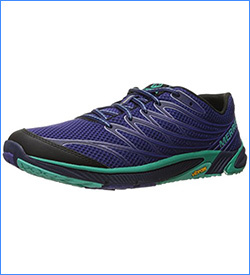 These shoes have enough arch support for most runners and they come in different color-ways. The Contend 3 comes in a variety of bright colors, and you can buy both medium and wide widths. The shoe is described as being designed for low-mileage and beginning runners. The fit and color-ways are stylish, as well. 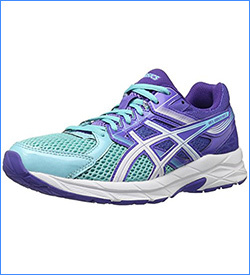 This ASICS model includes added gel for cushioning, and it’s remarkably comfortable and supportive without needing to be broken in. 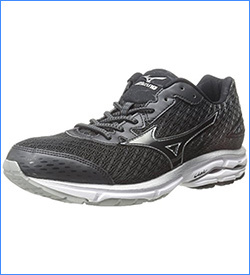 The Mizuno shoe comes in both medium and wide, in a variety of eye-catching colors, and the different options range in price. These shoes are great for neutral runners – this is because they include a sock liner for added resiliency and are breathable and comfortable. The Arc 4 has a low profile and is designed for trail running. 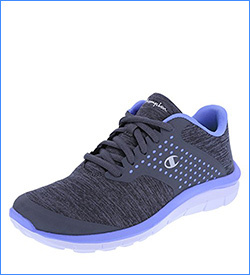 These shoes are suitable for long distances — they’re supportive, responsive, and flexible. 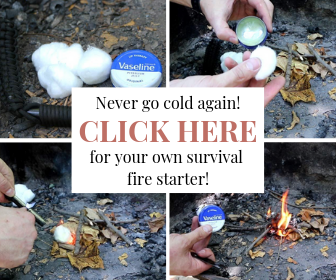 They help control odor and have mesh to increase ventilation. 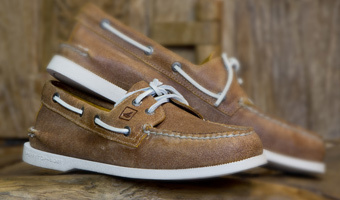 The integrated EVA footbed is comfortable and wearable. 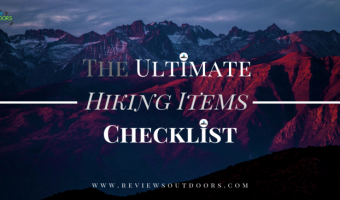 If you like hiking you can also check out these hiking shoes for women. The number 1 on our best running shoes for women list can be worn without a problem by even the most serious of runners. Their sole has enough grip to work well on slippery terrain, so you can run on all sorts of trails and conditions. 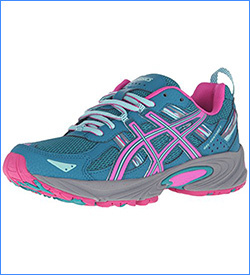 The gel provides comfort as well as stability and support. Most runners have found this shoe to run true to size, though some find them to be a bit narrow. We know you will find the right fit for you on this list of the best running shoes for women. 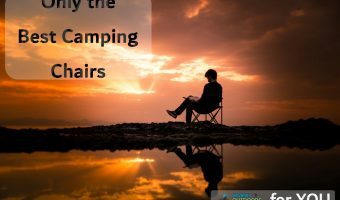 One of the best ways to find a running shoe that fits your particular foot and the terrains you are planning on hitting is to go to a qualified running shop and have them recommend something for your gait and foot shape. Nonetheless, the running shoes we presented fit a wide variety of feet and are suitable for all sorts of running conditions and distances. So do tell us: which of these best running shoes for women most fit your needs?